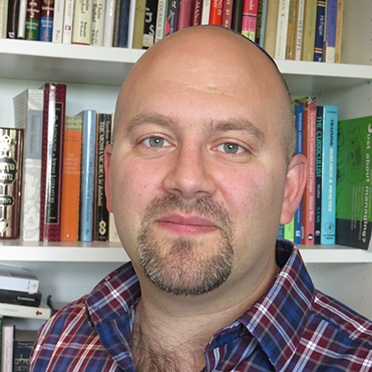 Rabbi Neil Janes is Executive Director of the Lyons Learning Project and member of the rabbinic team of West London Synagogue. He was ordained by the Leo Baeck College in 2006 and as part of his studies he learnt at the Conservative Yeshiva in Jerusalem. From 2006-2010 he was the rabbi of Finchley Progressive Synagogue and from 2011-2015 he was one of the rabbis of the Liberal Jewish Synagogue in St Johns Wood. Rabbi Janes is researching for a PhD at Haifa University, researching rabbinic literature and its representations of identity and culture supervised by Dr Moshe Lavee and Dr Hillel Newman. He is also adjunct faculty of Hebrew College, Boston where he teaches a module on Teaching Rabbinic Literature. In addition to his MA in Hebrew and Jewish Studies, Neil also has a BA in Psychology and Education from Cardiff University.